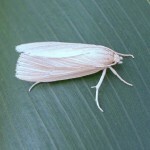 Moth traps catches clearly indicate that the first generation flight is peaking (link to moth trap catches). 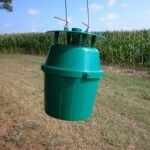 Local moth catches may vary considerably, and that is why we suggest running pheromone traps on your farm if you are growing non-Bt corn. The highest trap catches are on farms in U.S. Fish and Wildlife Refuges, primarily because they are not allowed to grow Bt corn. Please link to the publication below for more information about the management of this pest. 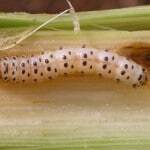 Below, I’ve also provided the suggested treatment threshold for southwestern corn borers in non-Bt corn during the whorl stage. 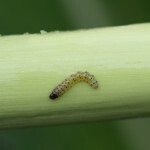 Treat prior to tasseling when 5% or more of plants are found with egg masses or live larvae or 7 to 10 days after pheromone traps catch an average of 50 or more moths on a seven-day catch. However, fields should be scouted every 7-10 days during the whorl stage when moth traps indicate the presence of SWCB (particularly when peak moth catches average 20 or more moths during a 7-day period). 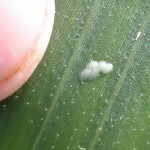 Feeding damage in the whorls of corn typically begins to show about 7 days after peak moth catches. During the whorl stage, I’ve had good success treating with pyrethroid insecticides. Later in the season, I prefer other products that provide longer residual control. 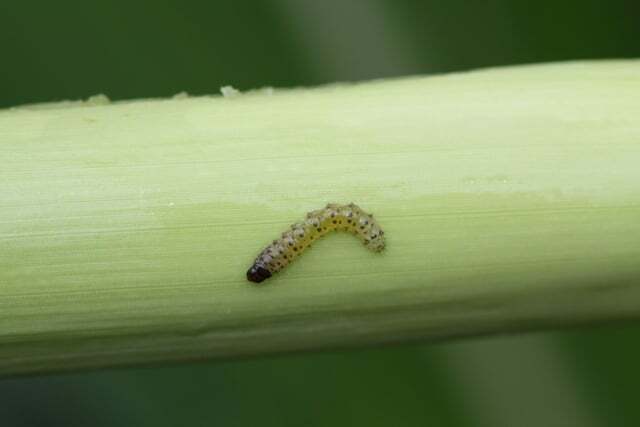 Please refer to the UT insect control recommendations for corn for a list of recommended insecticides.